Combine first 6 ingredients in a large mixing bowl. 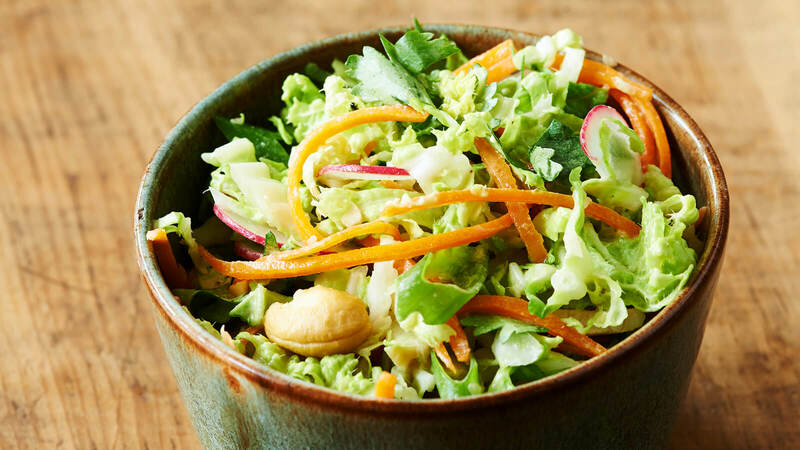 In a small bowl whisk together all ingredients for creamy coconut dressing. Pour dressing over salad and toss until the vegetables are fully coated.